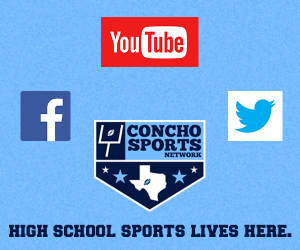 The Concho Valley is well-represented in the first state AP polls as four area schools made their debut in their respective top 20. The Mason Punchers have the highest debut as the No. 3-ranked team in Texas in class 2A. 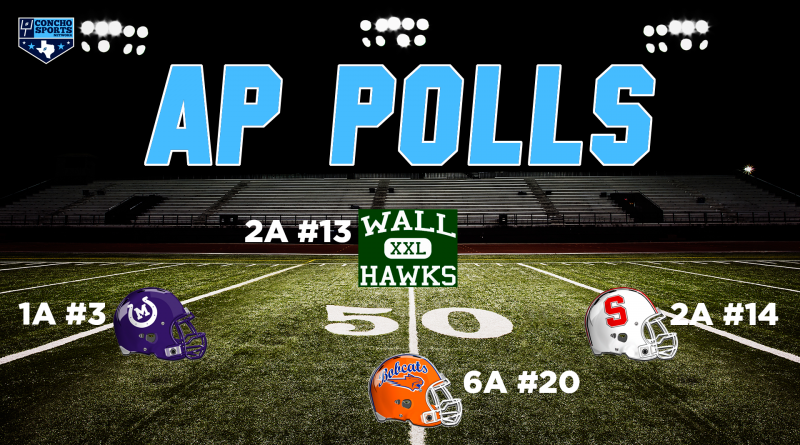 In class 3A, the Wall Hawks sit at No. 13 with the Sonora Broncos right behind them tied at No. 14. San Angelo Central debuts at No. 20 in class 6A. Others receiving votes: Waco Midway 19. Spring Westfield 16. Klein Collins 16. DeSoto 13. Euless Trinity 7. Cibolo Steele 5. The Woodlands 4. Smithson Valley 3. Denton Guyer 3. Humble Atascocita 2. San Angelo Central 2. Others receiving votes: A&M Consolidated 30. CC Calallen 30. Hutto 25. Angleton 19. Port Neches-Groves 17. Tyler 8. Ennis 6. Lubbock Coronado 4. Marshall 4. Colleyville Heritage 2. Crosby 1. Dripping Springs 1. Others receiving votes: Midlothian Heritage 35. Melissa 14. Silsbee 14. Graham 13. Lubbock Estacado 8. Kilgore 7. Henderson 6. WF Hirschi 6. Midland Greenwood 5. Wimberley 4. Rusk 1. Levelland 1. Others receiving votes: Waskom 18. Kemp 15. Wall 9. New London West Rusk 7. Shallowater 7. Sonora 7. Grandview 4. Colorado City 2. Big Sandy Harmony 2. Malakoff 2. Mount Vernon 2. Woodville 1. Buffalo 1. Cameron Yoe 1. Others receiving votes: San Augustine 24. Bosqueville 20. Valley View 16. Stratford 13. Crawford 11. New Deal 9. Hearne 4. Falls City 3. Bremond 3. Lovelady 2. Price Carlisle 1. Sundown 1.